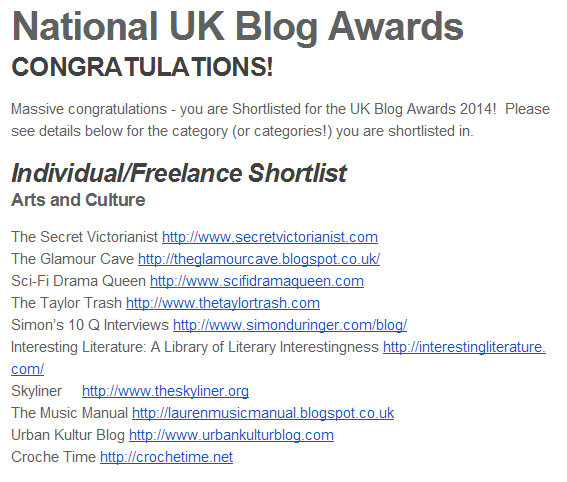 Trash Gets Shortlisted For a UK Blog Award! I’ve never been one for self-promotion; I find it awkward, and I tend to assume that people aren’t really that interested in what I have to say. 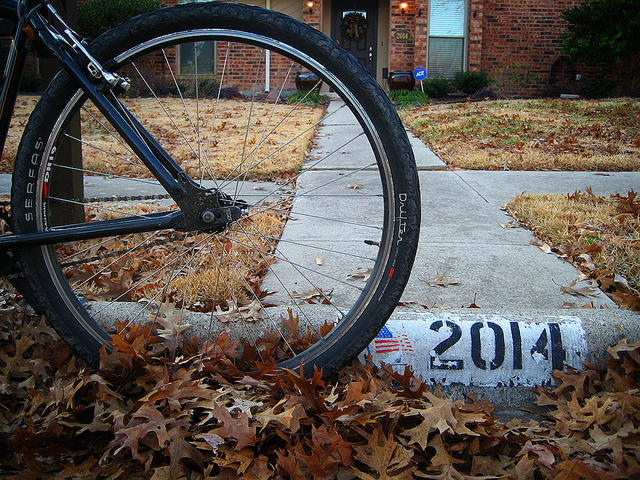 However, in the spirit of raising my profile and facing my fears, last year I decided to nominate The Taylor Trash for the UK Blog Awards 2014, which are designed to cater for all types of blogging in the UK, rather than focusing on a select discipline, such as fashion or lifestyle or parenting. So, after writing a guest blog for their website, I entered the awards, after all, I had nothing to lose. Once my nomination was official, I had to put aside my fears and ask people to vote for me. I asked them on Facebook, Twitter and, as some eagle-eyed readers may have noticed, by using a badge on this blog, knowing that, after voting closed on the 26th of January, there was little I could do until the shortlist announcement at midnight on the 3rd of February. When the day of the shortlist announcement arrived, I expected nothing more than a with: “Thanks, but no thanks, Trash” or, an apologetic, “Unfortunately, due to the high volume of applicants…” email. However, after midnight, I got an email informing me that, despite all my doubts, The Taylor Trash had been shortlisted in the Individual/Freelance Arts and Culture category in the UK Blog Awards. After I picked myself off the floor, and more or less inhaled a cup of tea to calm myself down, I learned that my blog would now be appraised by the judging panel, with the winners due to be announced at the official awards ceremony in Central London on Friday, the 25th of April. I’ve bought my ticket to the awards ceremony, so, all I can do until the night of the awards is work on my blog, book my accommodation for the big day, and thank everyone who voted for me over the past few weeks. So, to everyone who voted for me, thank you, so much, you’ve made a tired, jaded arts hack very happy! I’ll be tweeting from the awards, I’ll do a write-up of the evening, and I’m really looking forward to meeting all my fellow nominees – see you in April! Look, a badge and everything!